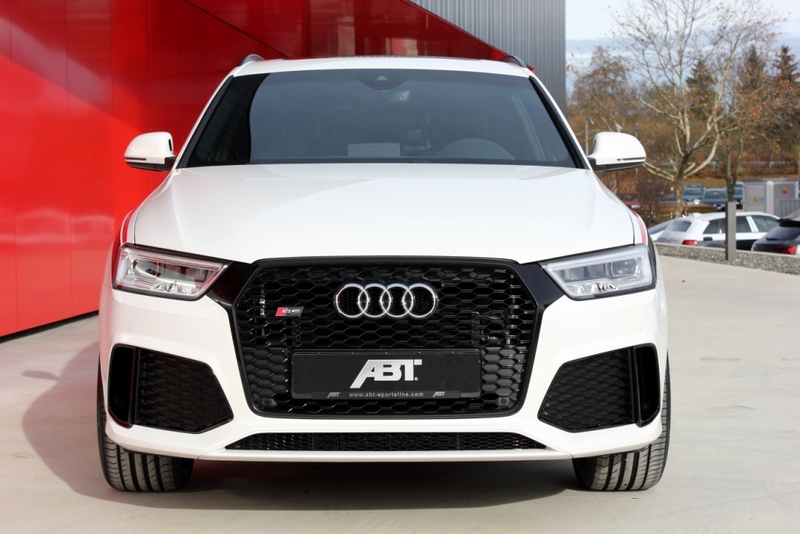 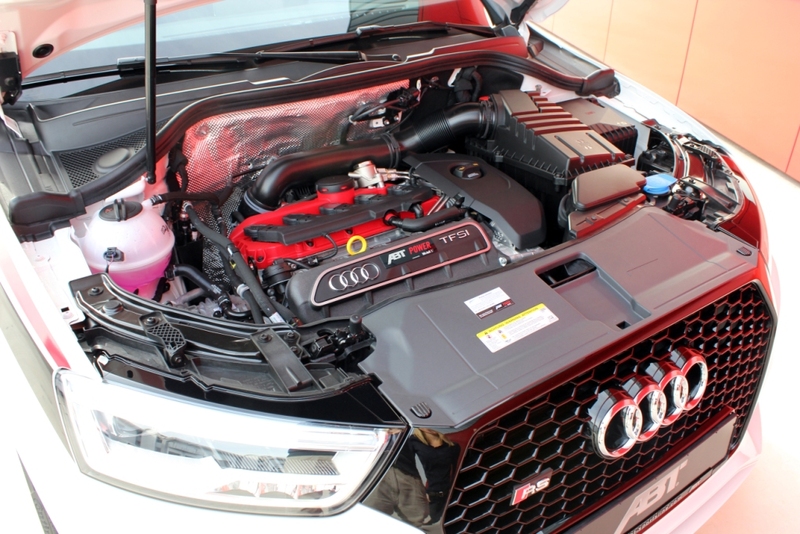 ABT POWER “New Generation“ the potential is utilised in almost any gear and this super SUV’s top speed is 285 kph, making it a real super sports car, too. 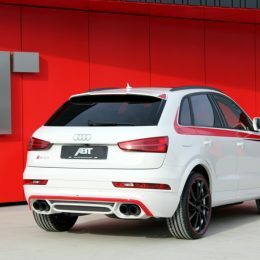 ABT Sportsline’s aerodynamic and design experts have also developed a rear skirt set to go with this exceptional performance, embodying power and dynamism even when the car is standing still. 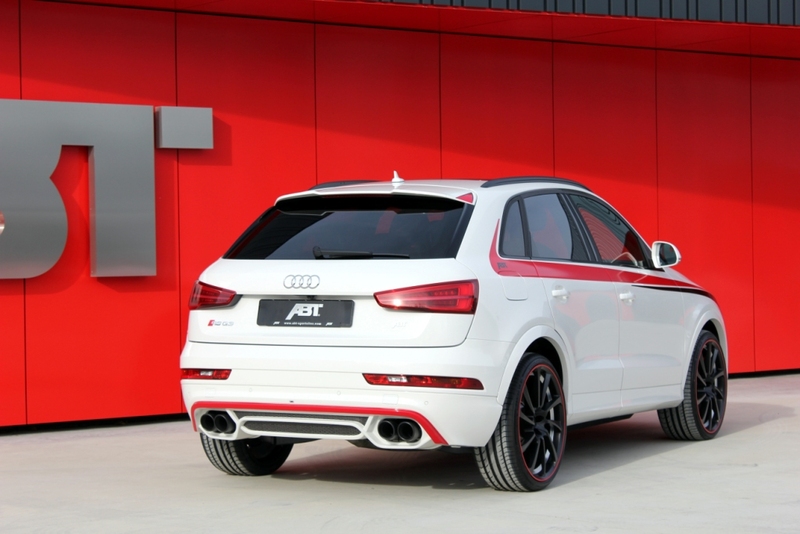 Only think of the 4-pipe exhaust with its dual tailpipes and their diameter of 89mm. 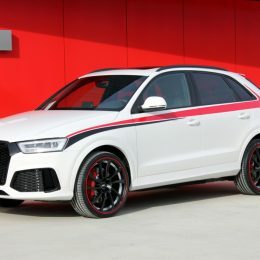 And then there are deco sets in four different extravagant designs for the rear skirt set, in shiny black, charcoal, silver or a cool grid pattern. 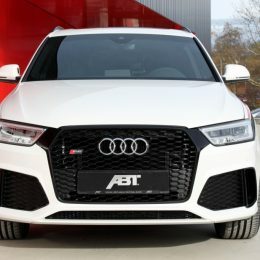 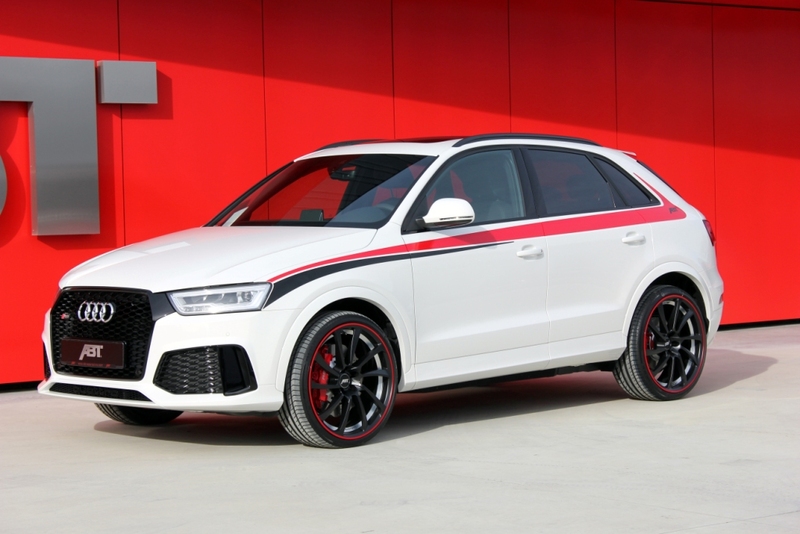 Important for both the car’s looks and for pushing it to the limit are the ABT sport-type coilovers, lowering the CoG between 15 and 45mm front and rear and thus making the Audi RS Q3 appear more assertive and powerful. 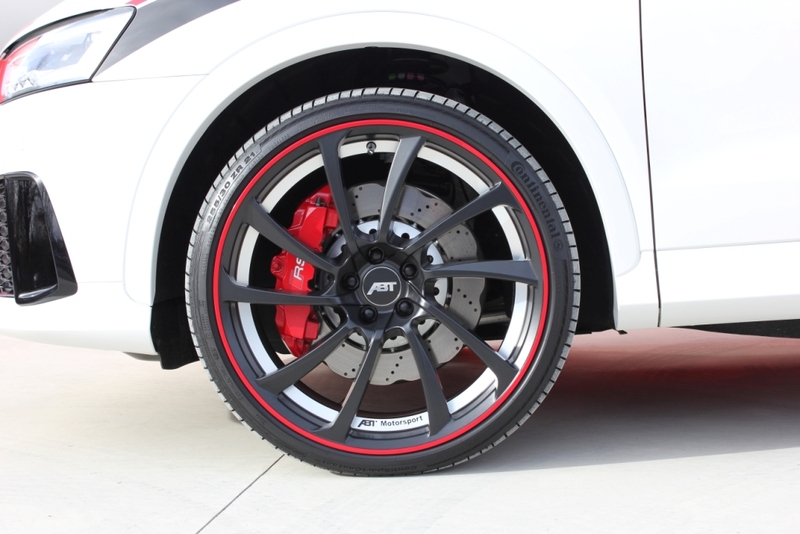 And with ABT’s sport-type wheels DR, ER-C and FR in 19, 20 or 21‘‘ the design becomes complete. 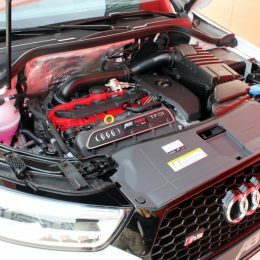 It goes without saying that all these are also available in combination with Dunlop or Continental high-performance tires. 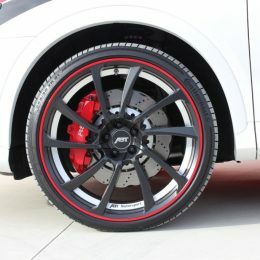 After all, this 4WD sports car’s performance must also be put on the black top, don’t you think?